WIN 3 Tx-i Plus ALARMS & an Rx Plus Pro receiver! 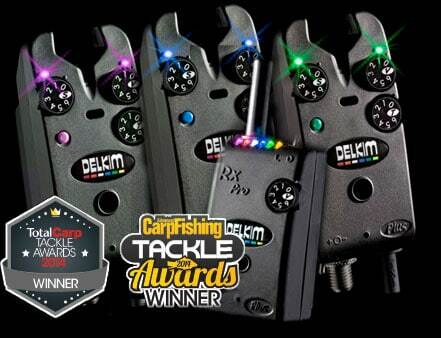 In celebration of winning BEST BITE ALARM 2014 in TOTAL CARP and ADVANCED CARP FISHING MAGAZINE …and hitting over 40k of Facebook likes / 5k Twitter followers, we wanted to show our appreciation to you, our loyal fans in the run up to Christmas with this fantastic prize. The total prize has a value of £507 (RRP) and you can even select the Tx-i Plus’ in a LED colour of your choice…not bad eh? All you have to do is watch the video and answer the question below by picking one of the provided options, then fill out your details so we can contact you if you’re the lucky winner! The competition ends on midnight Sunday 14th December 2014. The lucky winner will be announced shortly. Our competition is open to everyone including residents outside of the UK. What alarm LED colour does Danny use as an example for multi-channel programming in the Tx-i Plus video? We would like to keep you updated about competitions, promotions and future product releases. If you would prefer if we did not contact you in this regard, please check this box. The competition ends on midnight Sunday 14th December 2014, all entries after this time will not be counted. A valid email address will be required to enter the competition. The winner will be picked at random from the list of entrants selecting the correct answer. The winner will be announced on Wednesday 17th December 2014 through our official Facebook page and the winner contacted through email. Delivery of the prize to the winners will be arranged and sent through our standard delivery methods. Thanks for your entry and good luck! We will let you know if you're the lucky winner! Our brand new online store is now available! You can now purchase a range of Delkim merchandise from our website.